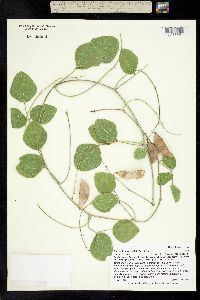 Phaseolus maculatus is a prostrate and trailing perennial herb that is easy to recognize by virtue of the large size of the herbage. 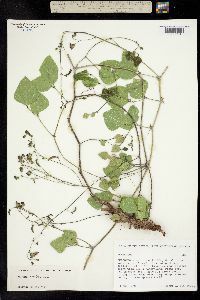 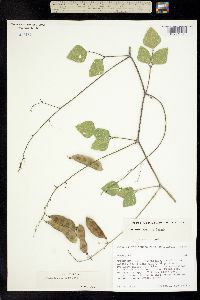 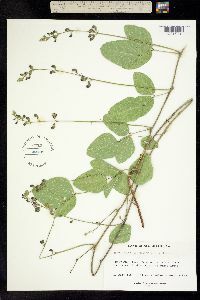 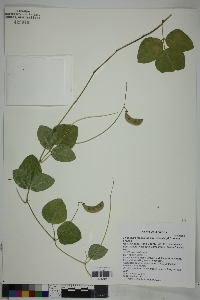 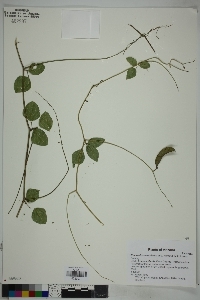 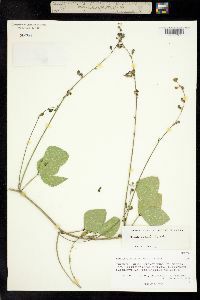 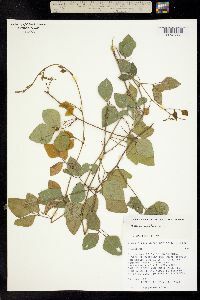 The leaves are trifoliate, with each leaflet round to oval and 40-80mm long. 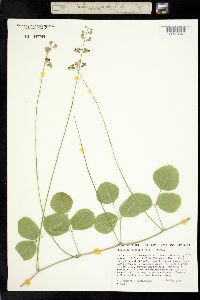 The leaflets point upwards rather than being positioned flat on the ground. 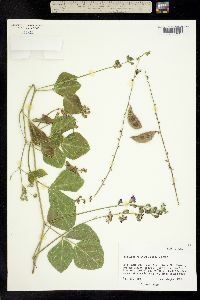 The flowers are small in comparision, and purple when fresh. 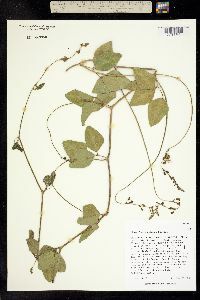 The pods are 5-7cm long and glabrous. 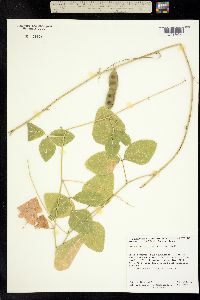 Phaseolus maculatus is found exposed on dry, rocky hillsides at middle elevation.